Did you know that Amp has an amazing powerful Reporting function? 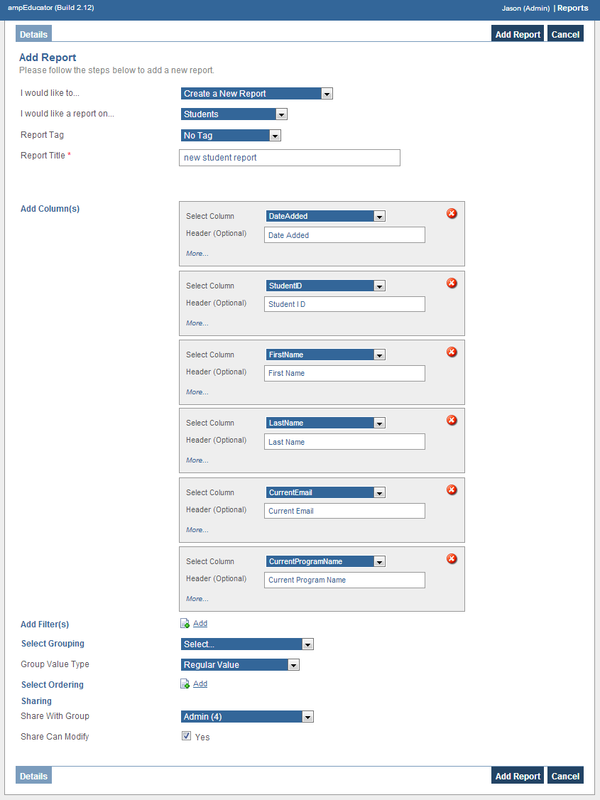 Your account should already feature a series of detailed reports ready for you to generate as you need. If you want to make your own new report try out the 'Add New Report' option as shown in the image here. Advanced users who are familiar with SQL can also make their own custom reports by uploading a JRXML file. 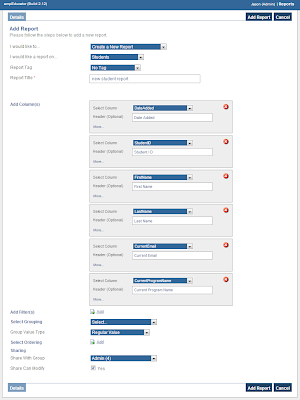 For more details about reporting see our user Manual and feel free to contact us support@amperea.com too.